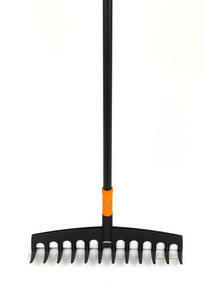 This twelve tooth garden rake by Fiskars is an essential tool for effortlessly maintaining the condition of your garden. 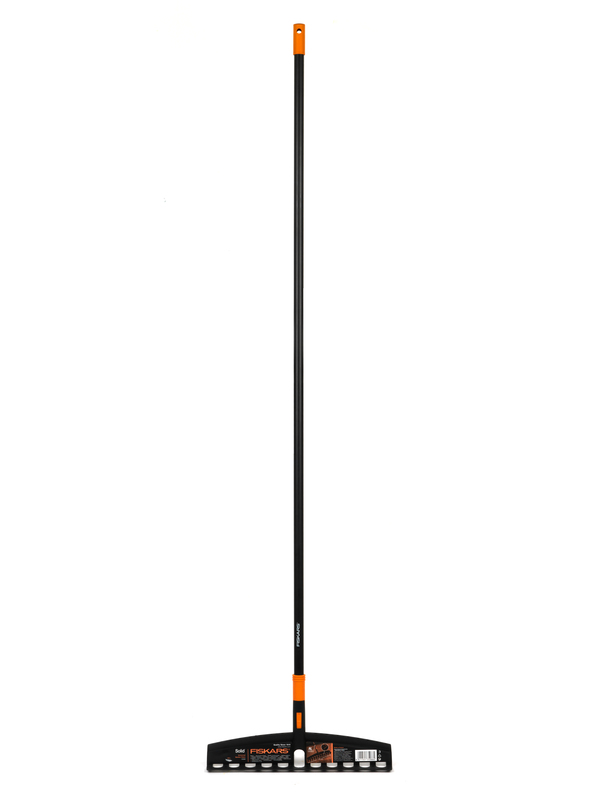 Its solid tines and impressively strong construction is perfect for raking fallen leaves, branches or loose grass, as well as preparing planting beds and levelling soil. 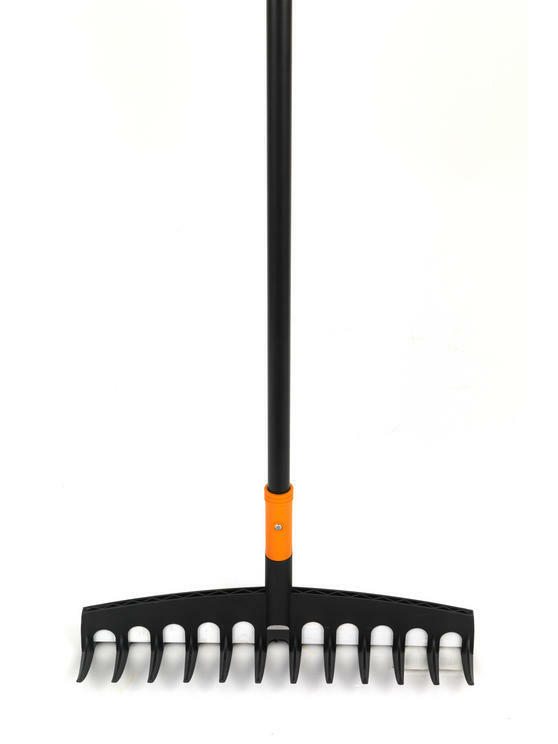 Brilliantly versatile for all of your gardening needs, whether you grow fruit and vegetables on an allotment or want to keep your garden lawn looking beautiful, this multifunctional rake will get the job done. 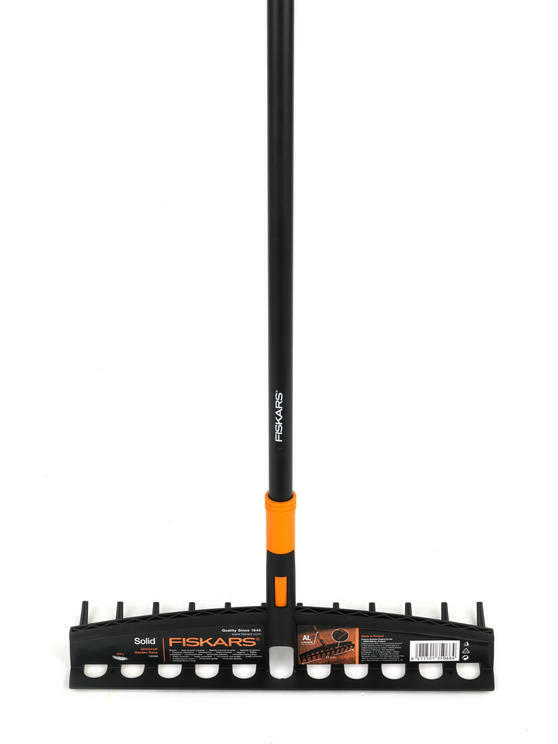 As the seasons change, keep your garden wonderfully tidy and in top condition all year round with this Fiskars solid garden rake. 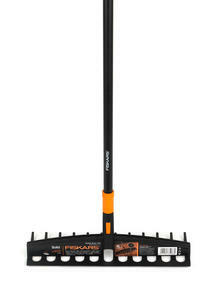 Suitable for all of your gardening projects, you can use the rake to level the ground or prepare the soil in your planting beds. 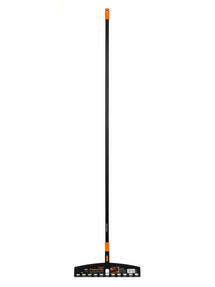 It will also come in handy to remove loose grass after mowing the lawn or rake fallen leaves, branches and debris in the colder months. Its ergonomic shape and design features 12 metal teeth which are incredibly efficient and durable to withstand the outdoors all year. 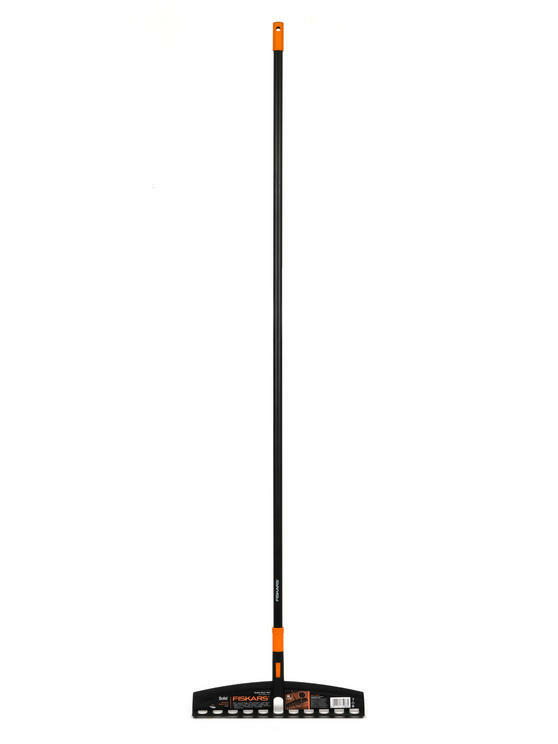 With a length of 167 cm for easy reach and a rake width of 41 cm, you can get maximum ground coverage and achieve a brilliant finish.